Mother’s Day is Sunday, May 13th. There’s no time to waste! 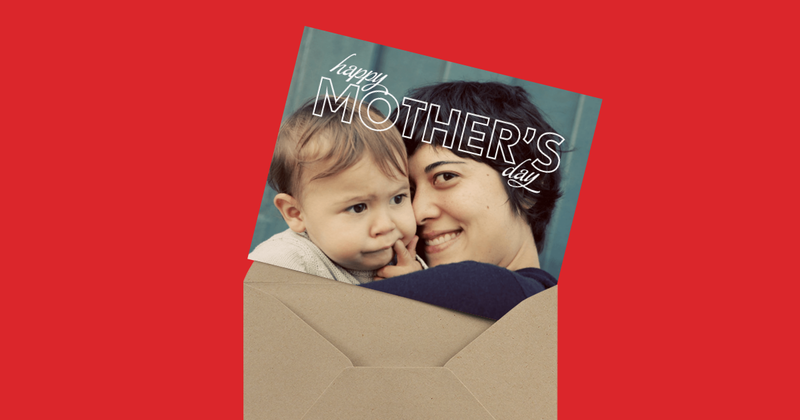 You can send your mom a real card right now on Postable. You type it, Postable mails it and you get another year of motherly love. Doesn’t the woman deserve more than a text message this year? 1. Pick a card (we have some really nice ones). 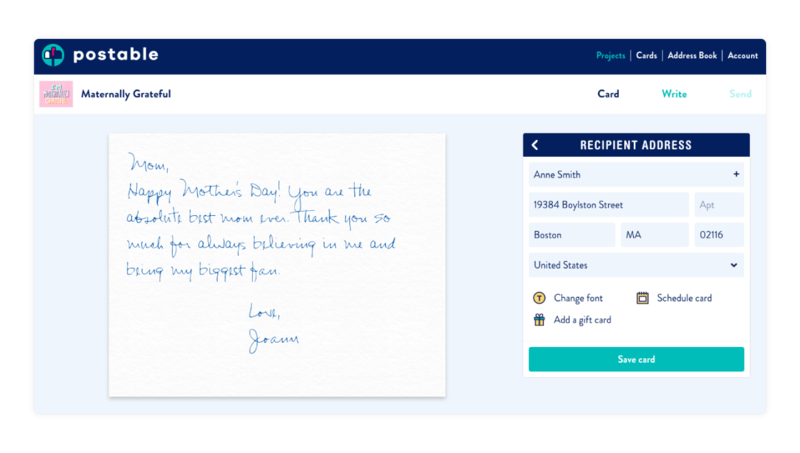 Sending mother’s day cards is the easiest way to show mom all of your love. Postable’s selection of mother’s day cards is pretty stellar and it’ll take you all of 60 seconds. This is so fabulous, I just sent a bunch of cards to my Mom for throughout the year. And some other people too! But… finding them is tough. The list isn’t easy to use. Have you considered making a calendar showing when cards are scheduled? That would be so much easier to buy lots and lots of Postable cards for everyone. An order history is in the works, but if you ever have any questions on how to find something, send us an email (info@postable.com) and we’ll be happy to help. OMG! This. Is. F*****. Awesome.